Being a deckhand on Rockfish is pretty awesome as you meet so many different people and each day we cruise is never the same! My family and I joined a fishing club when I was very young and I’ve had many opportunities to go on fishing charter boats with other fishing club members over the years. Growing up close to the water and having a family boat all my life has given me the chance to get to know about the rules on the water and I’ve also seen the amount of fun you can have on the water, with everything from fishing to wakeboarding and of course being a deckhand! I’ve known from a young age that working on water was something I’ve always wanted to do so when I joined the Rockfish team just over a year ago, I felt like I’d hit the jackpot! Working in our office taking bookings and seeing the behind the scenes work of how Rockfish is run is amazing! The people I work with have become good friends and being able to work both in the office and on our catamarans is a lot of fun! The experience I am gaining is incredible! I can see all the effort that is involved behind the scenes and I get to make a groups cruise one they won’t forget! 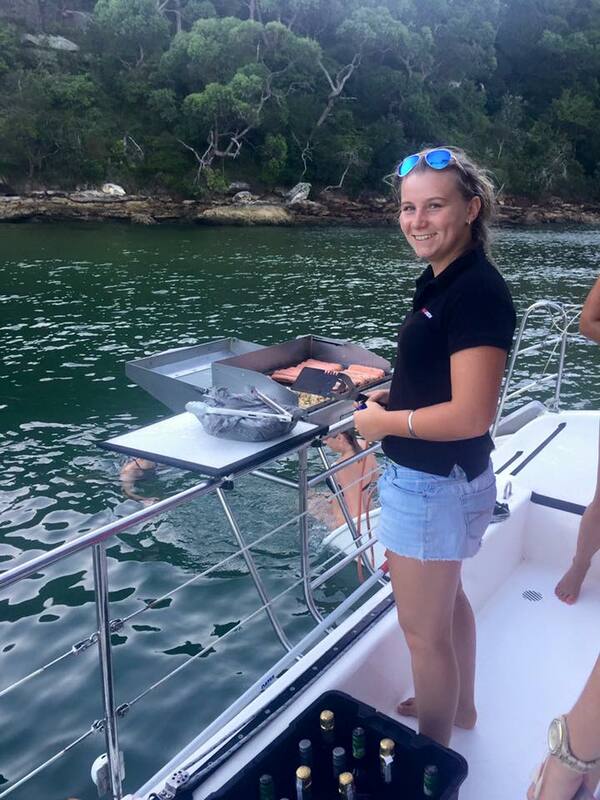 I think working in the office and on our boats gives me an insight into our customers experience so I can figure out how we can make their time on Rockfish the best possible. On our catamarans I work closely the other crew. Our skippers are all really knowledgable and fun and It’s great working with people who share my passion for being on the water, not to mention being able to learn lots from them! Different Captains have different ways of doing things and they expect you to do things their way. I’ve now remembered and mastered ‘throwing the ropes’ differently with certain Captains because their way is ‘the only right way to do it’ haha! 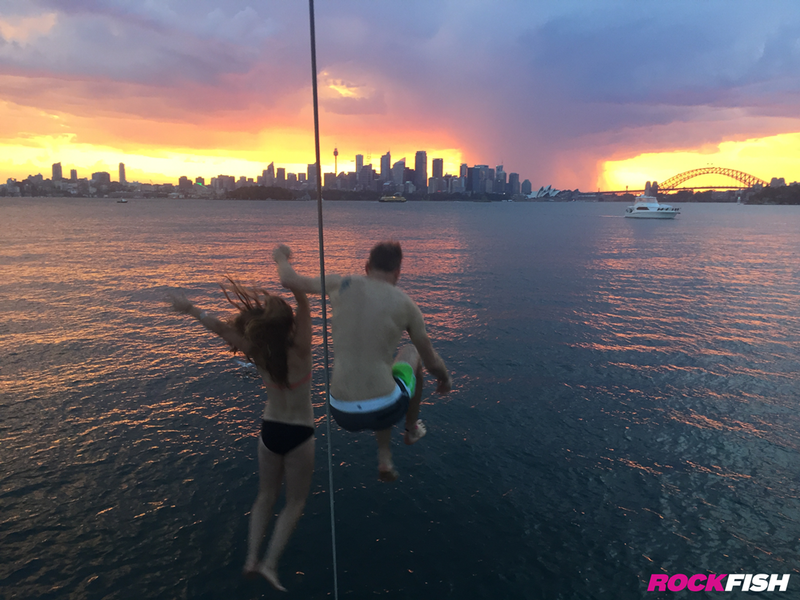 I do have responsibilities whilst onboard Rockfish, although it might not seem it – jumping off the roof of the boat or going for a swim with customers could hardly be considered work! It’s very important that the skipper and I work as a team to make the Rockfish experience safe and fun for our groups. Cleaning up and making sure everything is tidy and in it’s place is also a big part of my job as a deckhand. One of the best parts of my job is hearing about our customers experience out on the harbour and what they enjoyed the most about their cruise. 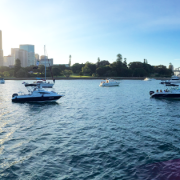 I also love how every day on Sydney Harbour is different and there’s always new things to see! Not only do I get to meet heaps of new people but some days we even spot seals, dolphins and even penguins! 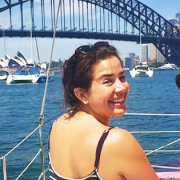 Also, who wouldn’t want to spend their day cruising around Sydney harbour?! 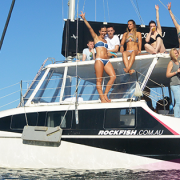 Why would I suggest Rockfish Catamarans? 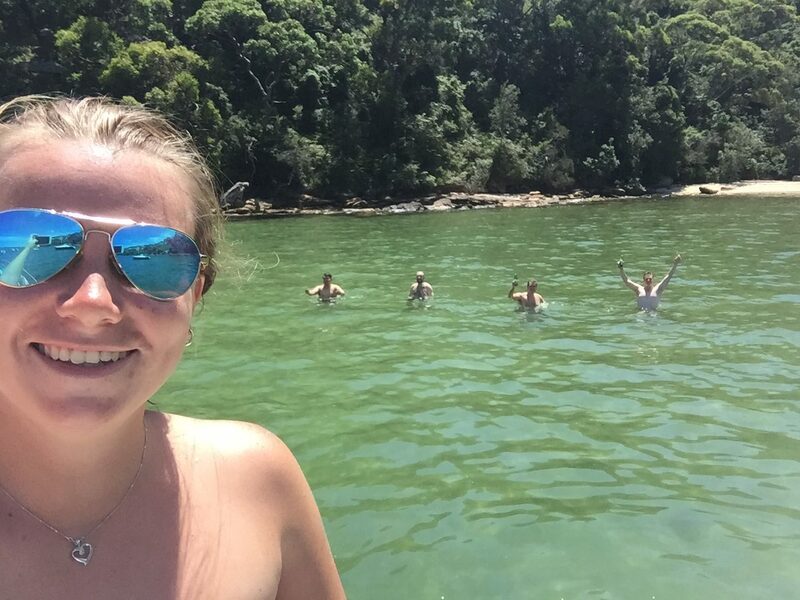 Well..I may be biased but so many of our customers have an awesome day out on the harbour with us and their mates without breaking the bank and I really think we are one of the best value catamaran charter companies out there. I also think the team’s passion for boating and creating a fun atmosphere for our customers sets us apart from the rest. 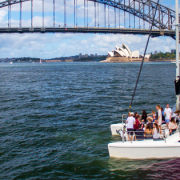 We do our best to make a harbour cruise with us the best possible by visiting the best beaches around Sydney Harbour, offering a friendly professional service and of course always being fun to be around! If you’re interested in hiring Rockfish for a private catamaran charter with up to 30 of your mates, get in touch for info and availability! Why have your Bucks Party on Rockfish? 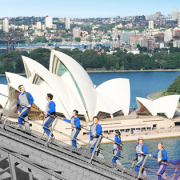 Why should you spend the day on Sydney Harbour? The Rockfish Crew Have Some Fun! 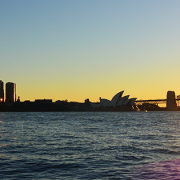 Why Take a Cruise on Sydney Harbour? 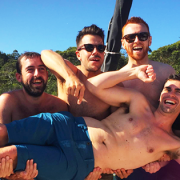 Rockfish Crew Christmas Party Why Sydney Harbour is the best place to hang out this Summer!